The best place to get info about your car. 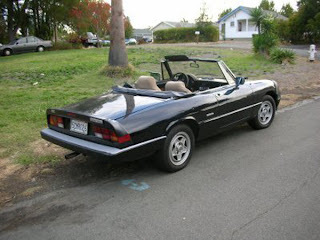 The Series 3 Spider was previewed in North America for the 1982 model year with the introduction of 2.0 liter Bosch electronic fuel injection to replace the SPICA mechanical injection. 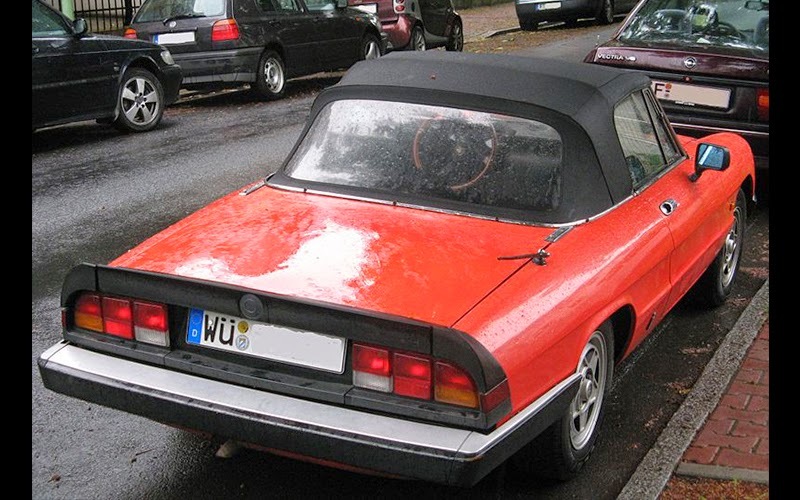 The Spider underwent a major styling revamp in 1983, which saw the introduction of black rubber front and rear bumpers. The front bumper incorporated the grille and a small soft rubber spoiler was added to the trunk lid. The change altered the exterior appearance of the car considerably and was not universally praised by enthusiasts. Various other minor mechanical and aesthetic modifications were also made, and the 1600 car (never available in North America) dropped the "Junior" name. The Quadrifoglio Verde (Green Fourleaf Clover) model was introduced in 1986, with many aesthetic tweaks, including sideskirts, mirrors, new front and rear spoilers, hard rubber trunk mounted spoilers with integral 3rd stoplight, unique 15" alloys and optional removable hardtop. Different interior trim included blood red carpets and gray leather seats with red stitching. QV was offered in only 3 colours: red, silver and black. It was otherwise mechanically identical to the standard Spider Veloce model, with a 1962 cc double overhead cam, four-cylinder engine (twin two-barrel carburetors in Europe; North American models retained the Bosch L-Jetronic fuel injection introduced for the 1982 model year except that the VVT mechanism was now L-Jet activated) and five-speed manual transmission. The interior was revised with a new center console, lower dash panels (to meet U.S. regulations) and a single monopod gauge cluster (with electronic gauges). For the North American market a model dubbed the Graduate was added in tribute to the car's famous appearance in the 1967 film, The Graduate, starring Dustin Hoffman. The Graduate was intended as a less expensive "entry-level" Alfa. While it had the same engine and transmission as the Quadrifoglio and Veloce, it lacked the alloy wheels and luxury features of the other two models. The Graduate model had manual windows, basic vinyl seats, a vinyl top, and steel wheels as standard. Air conditioning and a dealer-installed radio were the only options. It first appeared in 1985 in North America and continued until 1990. Minor changes occurred from 1986–89, including new paint colors, a center high mount stop lamp (CHMSL) midway through 1986 for North American models, a move away from the fade-prone brown carpet and new turn signal levers. Some 1988 models featured automatic seatbelts that extended from a large device between the front seats. 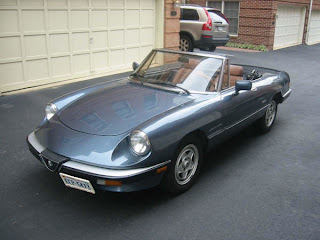 Back to Alfa Romeo Spider. Last updated on 12 April 2014 at 05:40. Best Product To Sell Is How To Buy Any Car For 50%-90% Off! Lamborghinis, Bentleys, Bmw M6s, Aston Martins, Lexus, Mercedes-benz! Plus 100s Others! DIY Car Painting Auto Body Course - Great For Automotive Male Traffic! Ebooks - FORD Shop Manuals And Service Manuals!